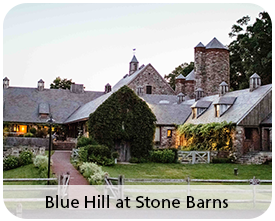 Please join us for culinary excellence and a true farm to table dining experience at international award winning restaurant Blue Hill at Stone Barns. This event is being held to benefit the Montefiore Einstein Center for Cancer Care, the Albert Einstein Cancer Center and the White Plains Hospital Center for Cancer Care. Please register quickly to reserve your spot. Please contact Maeve Mackenzie at mmackenz@montefiore.org or 718-920-5689 with questions. The value of goods and services received is $380 per dinner guest, which is the amount of the gift not deductible as a charitable contribution.